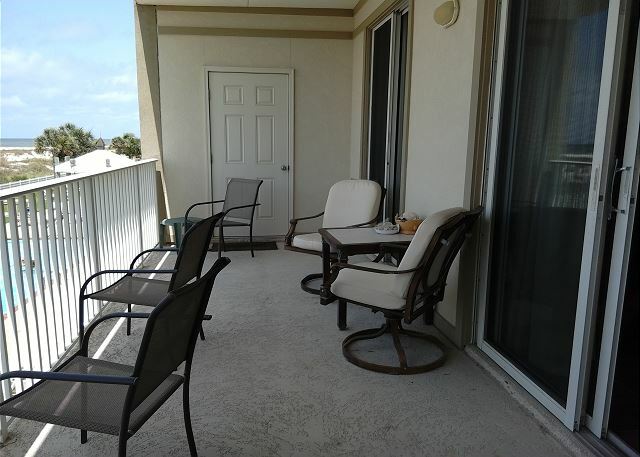 This 2nd floor 2 bedroom, 2 bath unit sleeps 6. 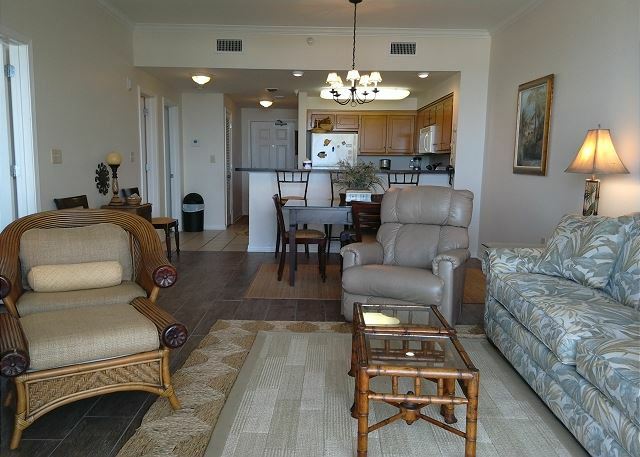 Rooms Sleeps 6, This 2nd floor 2 bedroom, 2 bath unit sleeps 6. 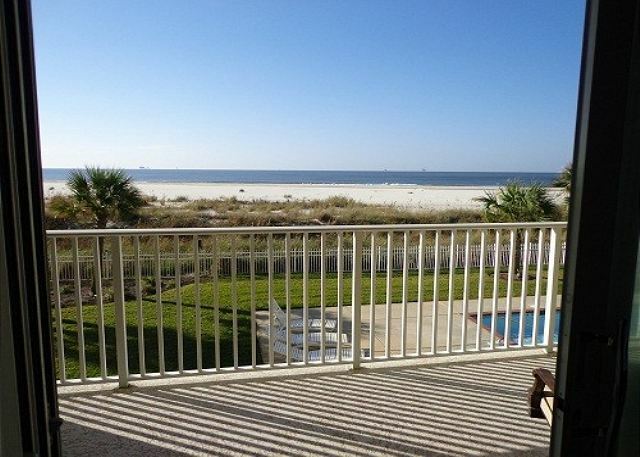 Enjoy the gulf view from your private balcony! 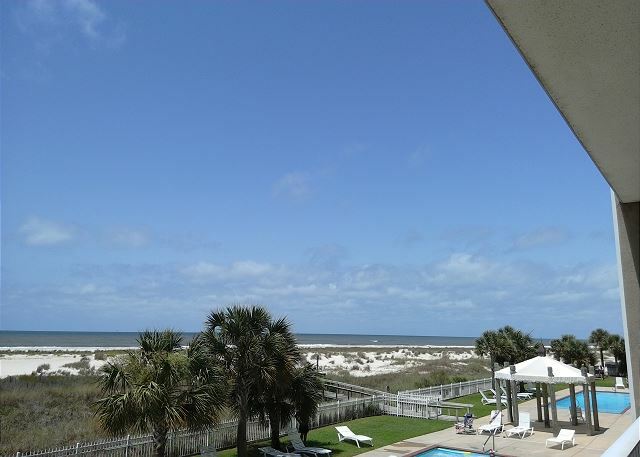 We love the Inn at Dauphin Island! A stay with a view. 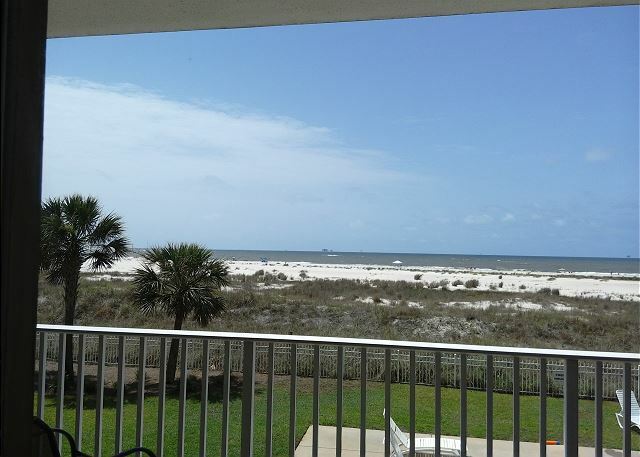 Located right on the gulf with a great view. 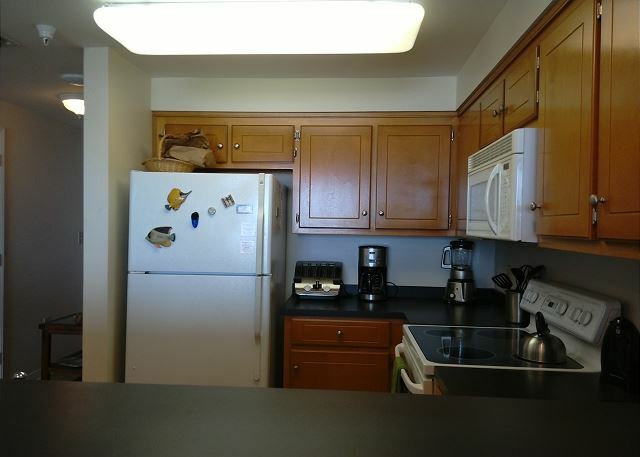 Unit was well appointed with quality appliances. Only con, the bed linens were not clean, we had to wash all of them before going to bed. Do recommend to friends. Wonderful vacation! Beautiful view! The condo was perfect, clean and so much room. Will definitely be booking this condo again!! You have the beautiful ocean and 2 swimming pools to enjoy. You can walk across the street for pizza and ice cream. Rent bikes or kayaks and have them dropped off at your condo! Wow! Defiantly a piece of paradise!!!!!!! My 2 daughters, husband and I stayed at the Inn #203 in early July. 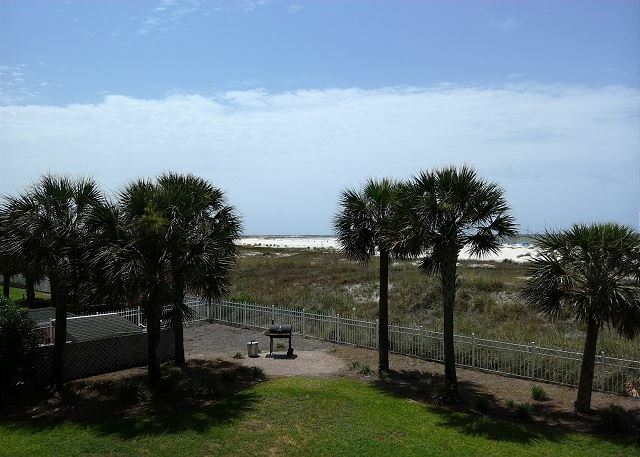 I chose this condo for the view, reasonable price and the ability to book only 4 nights since many condos during the month of July require a 7 night minimum, and because of the twin beds so my kids didn't have to share a bed. 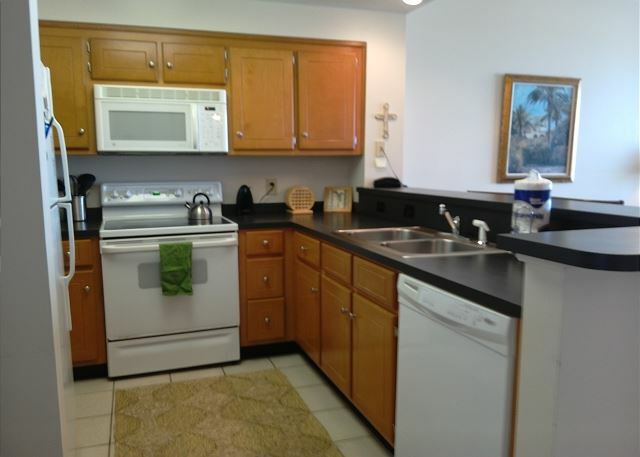 We found the condo to be very well maintained and clean. The beds were very soft and comfortable. I especially LOVED the massive bath tub in the master bathroom! The photos don't show it very well but it's large, deep and oval shaped. My only suggestion to the owners is to make Netflix/Hulu/Amazon available to renters. There is a DVD player with the TV in the living room that has those capabilities but it hasn't been set up properly and requires a wired internet connection, which isn't available. If it was set up for wifi instead, renters could take advantage of that on rainy nights. There is, however, a RedBox on the Island at the Circle K Shell station if you want to rent a movie. 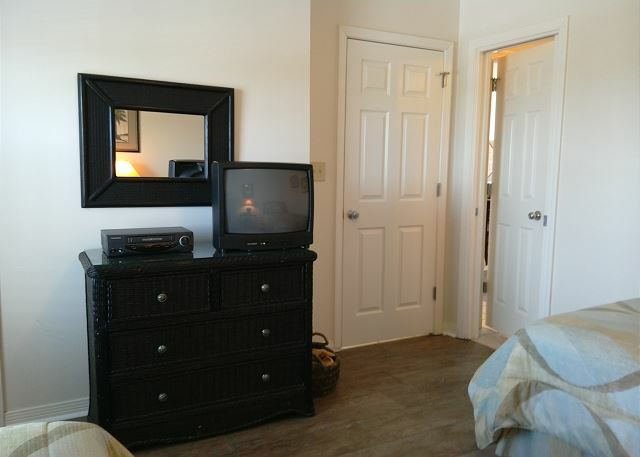 I would also recommend updating the TV in the twin bedroom, putting a dvd player in the rooms and adding a Keurig to the kitchen. 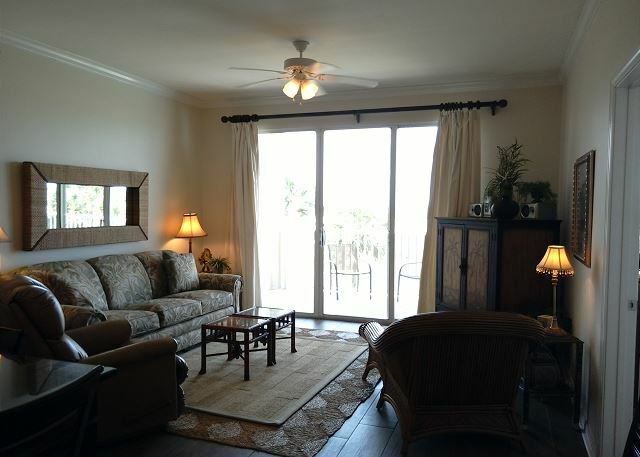 Access to the pool and the beach is very convenient, though it's a pretty long walk to the beach so be prepared for that. This particular unit, as you can see from the photos, is close enough to the pool that people there can see into your balcony and if they're being loud, you can hear it in the living room but it wasn't loud enough to disturb us. While we were at Dauphin Island, we spent a fair amount of time exploring the island. There are a lot of fun little gift shops and many interesting restaurants. Foxy's Waffle Bar was great and the smoothies were delicious. Miguel's has some really good Mexican food. We especially enjoyed Pirate's Bar and Grill, where I found possibly the best BBQ I've ever had! And their sweet tea is amazing. Great The staff were Amazing! They helped us with the graduation party. Thank you for an amazing time for our family to unplug, relax and enjoy. We spent the week of Thanksgiving and it was just great. The condo was just the perfect size for our family of 3 and we had a great time. The staff was helpful when we needed it. There should be a more prominent sign out front so you don't drive past - even though we were given great directions, we weren't sure where to turn the first time. It was an all around great experience. I've rented all along the Gulf Coast and this was one of the best ones. I'm from Mobile and love the island so this spot had it all for me. The management staff was exceptional and professional. Just spot on. We stayed in both the Beach Club and The Inn this year because of a schedule mix-up. The staff was very helpful to us in this regard. We found both condos in better condition than we've seen in the last two years - especially the pool areas. Overall we were very satisfied. Great view, location,everything you need. Only thing missing was a hairdryer. I didn't think about asking. Wonderful week. 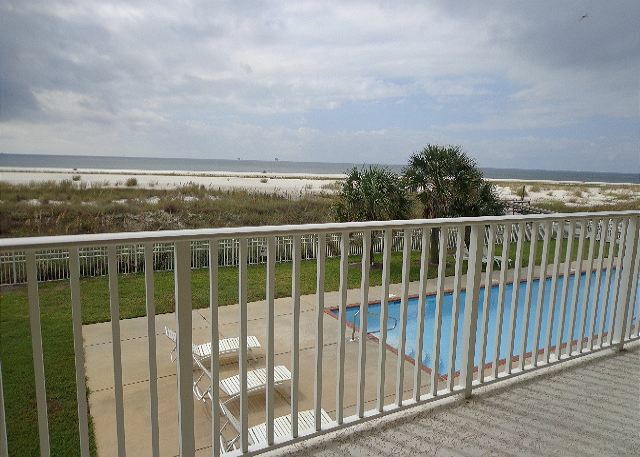 We spent a week at Dauphin Inn at Dauphin Island in October. The weather was perfect and the fishing was good. Our unit (203) was superb. It was well stocked and clean. The kitchen light needed new bulbs and maintenance was there within a day to fix it. The grounds were well kept and the pools clean. Overall our experience was great. Hope to return again. We made a great decision to stay at Inn at Dauphin Island, but the weather wasn't cooperating and it rained every day - all day! But we had a very nice condo to stay in and it was very comfortable. 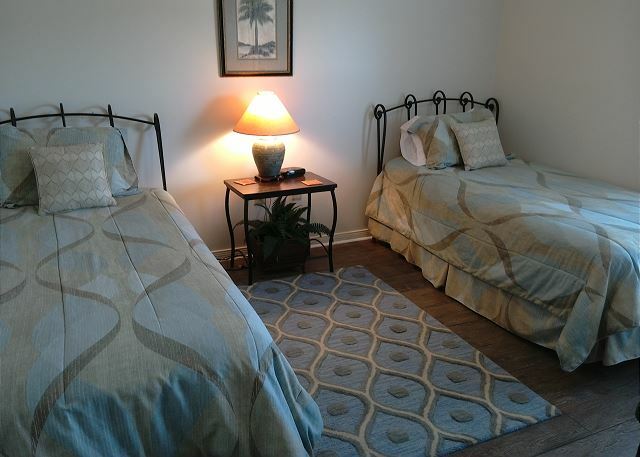 We Love Staying At The Inn At Dauphin Island! The New Pier Is Absolutely The Best! The Office Staff Is Very Efficient! Looking Forward To Visiting Again! Clean and fully stocked! Every kitchen gadget u could need was avaiable! Loved everything about the condo and would definitely come back. 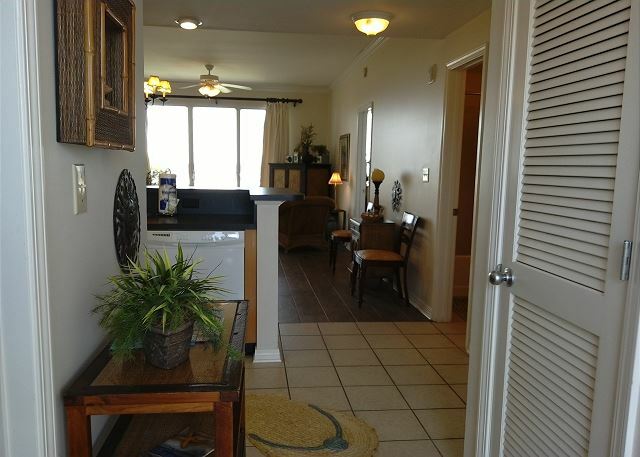 Loved The Inn at Dauphin Island 203! We already booked next trip! Unit 203 was wonderful. It was spacious enough for 4 adults and 2 children. 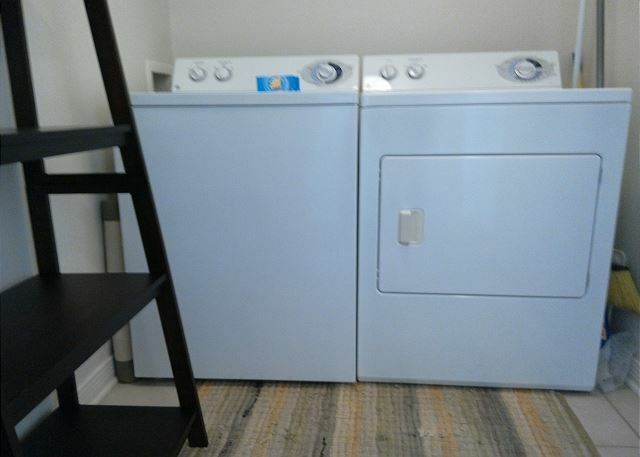 It has an actual laundry room, which was great. The kitchen was large and well-supplied with cooking utensils. The condo is tastefully decorated. View of the ocean from the balcony is great! The management staff was friendly and helpful. And, of course, the island was a delight. From start to finish this was a great trip, and we've already booked our next stay! The reservation staff were friendly. The reservation process was very easy and efficient. 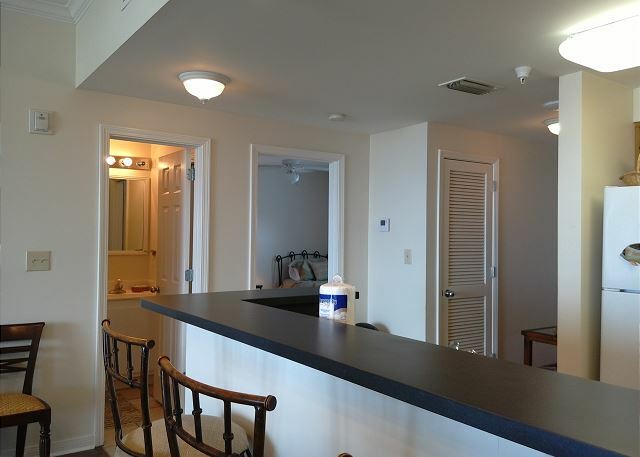 Unit (203) was beautifully decorated and fully furnished. The linens were high quality and felt wonderful. The beds and pillows were extra comfortable! The unit was very clean when we arrived. The condo was very private and quiet. On Thursday morning, we reported the kitchen light was out; however, it was not fixed by Friday evening so my husband drove to Mobile to purchase a few bulbs so we could see to pack our kitchen items before our Saturday morning departure. That was kind of upsetting. 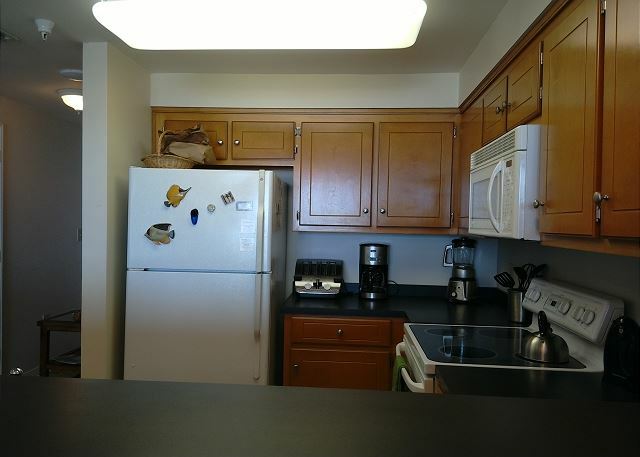 The property is very clean and well-maintained. The new boardwalk to the beach was nice. The heated pool was thankfully warm this year! Inn Was great and the weather this year was the special gift.....always fun to come back to familiar faces and fun social events....thank you, Bonnie. My husband and best friend came down for the weekend and had a great time. My best friend and I came back in may for a girls trip and told my husband we had to go back. We love that it's not crowded. The restaurants are great. We had a wonderful time at this condo complex. Our condo was so nice. It was clean and very well stocked. Loved the pools and convenient access to the beach. We had a very relaxed time. 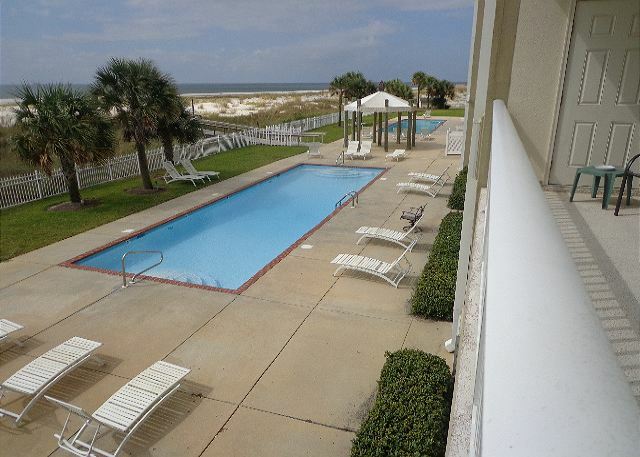 The Inn at Daulphin Island is perfect for a family vacation! 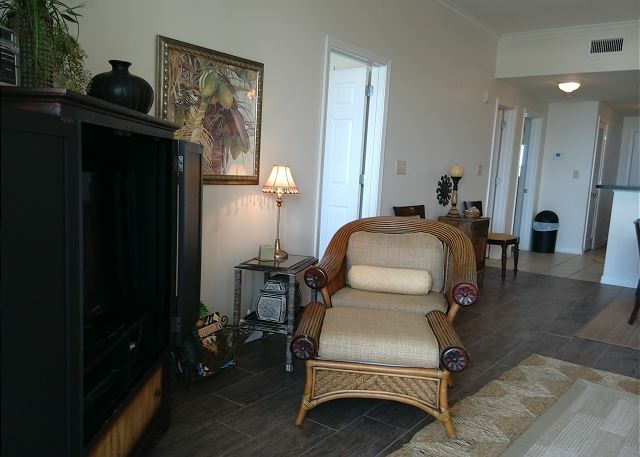 We have been coming to Dauphin Island for several years and always stayed at the The Inn. 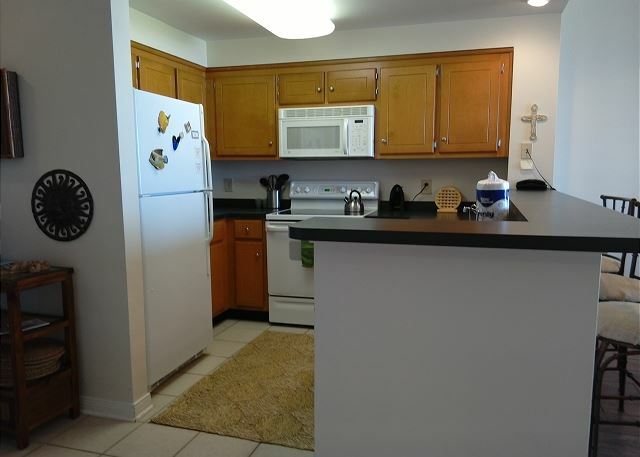 Our condo was immaculate and the kitchen is fully equipped with everything one may need. The view of the Gulf is absolutely beautiful. The staff and management have always been very courteous. Everything was wonderful! If I had to have one complaint, it would be the walk to the beach. The boardwalk could be extended a little further for customer convenience. The staff at the Inn was great and the island very quit and peaceful. The condo had a strong chemical smell as the rugs had been cleaned. We aired it out as much as possible. The second bedroom at an odor of a boy's locker room which wasn't pleasant. The restaurants we went to were not good but the seafood place, Skinner's, had fresh seafood that they would steam for you and that was great! 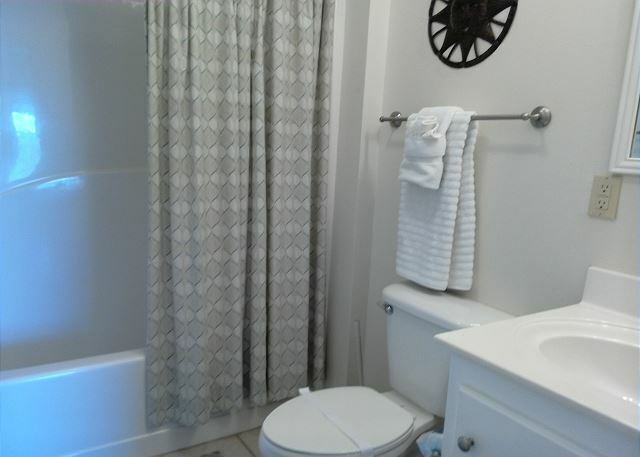 The owner has updated the entire unit with beautiful new tile flooring as of April 2015. This was our first time on Dauphin Island. We loved the quietness and lack of commercialism. 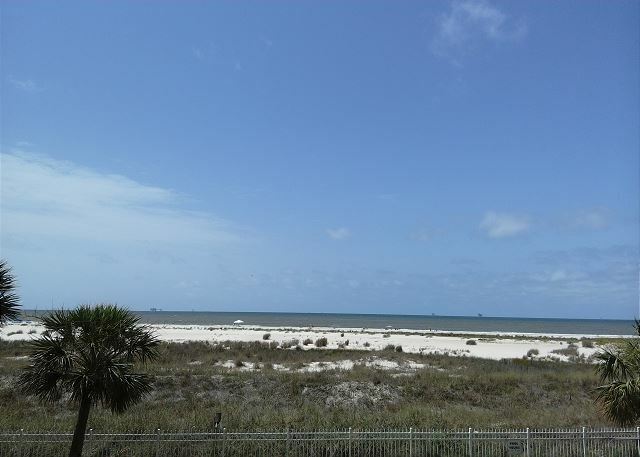 Dauphin Island is the perfect place to go to unplug and focus on relaxing and spending quality time with your family. The condo seemed to be rented all by families with young children, so it is quiet at night (no annoyingly loud tenants staying up late to party). Also, we were impressed with the fact that we did not hear anyone on either side of us nor above us: no voices through the walls or stomping of feet above us. It must be very well built and insulated. There are three different condos all in a row. The Inn at Dauphin Island is the one furthest to the west. I think it must be older than the other two. It was a bit "used" but still clean. Also, even though the three condos were side-by-side, the beach directly behind The Inn was less crowded. Many people were fishing right from the beach and were catching lots of fish. We enjoyed spotting the dolphins swimming parallel to the beach. The property management employees were friendly and very helpful. I definitely would like to come back! The condo was just as advertised. Nice, pleasant, clean, beautiful. Management is great, they were glad to be of service and very helpful. Great place to stay, ideal, convenient to restaurants, stores, beach etc... Would love to stay here again. Looking forward to our next visit. 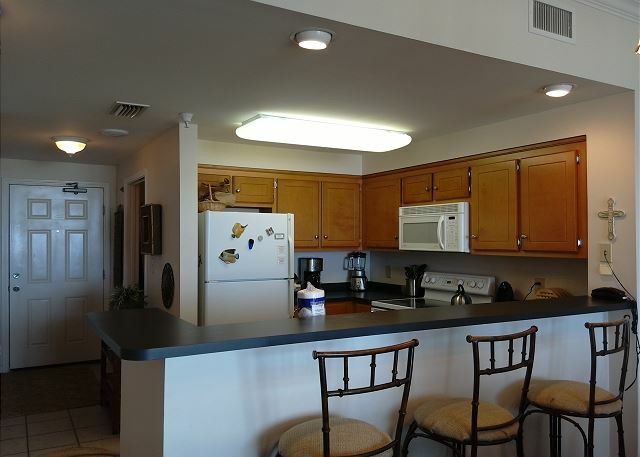 The condo was convenient to everything on the island. Everyone was very friendly and the unit and grounds were well kept.